Buy Author Anthony Avina a Coffee. ko-fi.com/authoranthonyavina - Ko-fi ❤️ Where creators get paid by fans, with a 'Buy Me a Coffee' button. My name is Anthony Avina. 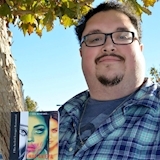 I am a freelance writer for TheGamer, a video creator on YouTube, a blogger who reviews books and writes about book related topics, and I am an author aspiring to write novels full time. I am working towards making my author work a full time thing. Secured Payments. Support goes to Author Anthony Avina's account. Upgrade Author Anthony Avina to a yearly Gold Membership with a one-time payment.